SSI Complaints Policy and Procedure. 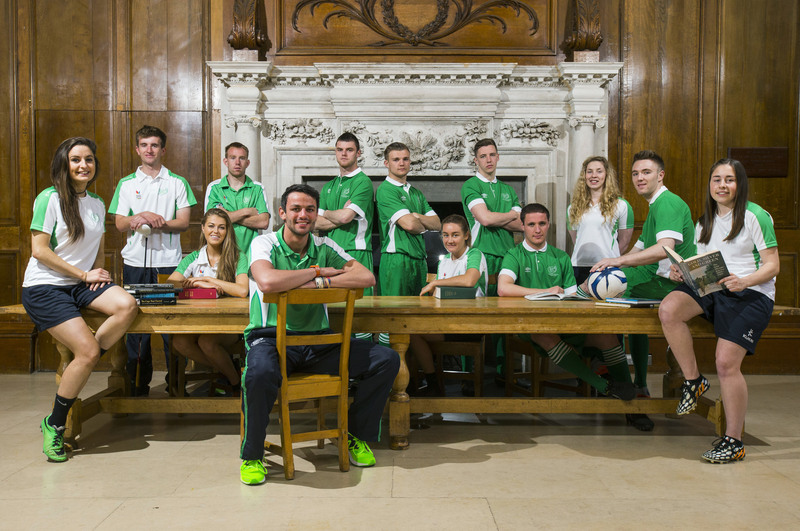 Over 9,000 athletes will come together in Gwangju, South Korea for the 28th World University Games, 3-14 July 2015, to compete in some 300 medal events, across 21 sports and with less than a month remaining until the Opening Ceremony, Student Sport Ireland (SSI) is pleased to announce the team representing Ireland in Gwangju, known locally as the “City of Hope and Light”. Trinity College Dublin’s Cathy Gallagher will lead the Irish Delegation for the third consecutive Games and as Head of Delegation stated “Team Ireland will compete in 6 of the 21 sports in Gwangju and comprises the creme-de-la-creme of our student athletes at third level. We welcome on board again Athletics and Swimming, Men’s & Women’s Football and the inclusion of Archery, Golf (Men & Ladies) and Judo to the 2015 delegation. Other than participating at the ultimate sporting occasion that is the Olympic Games, students will not have a similar opportunity to experience the cultural, interpersonal, camaraderie and lifetime synergies which are an integral part of the Games. We will respect and uphold the reputation of Ireland as a valued member of the FISU family and enshrine the achievements and memories of Gwangju 2015 for student sport benefit”. Student Sport Ireland (SSI) Chairperson Carmel Lynch closed the ceremony by thanking all those involved, as the Irish Delegation and competitors are set to depart for Gwangju from 22nd June. Ireland begins its medal quest on the 2nd July with Women’s Football taking on Chinese Taipei while the Men face Uruguay in the first of their group matches. Archery, Judo and Swimming all get underway from 5th July, where Eoin Fleming (Judo – 73kg category) & Darren Wallace (Archery) will travel directly from competing at the inaugural European Games in Baku and the 10 strong team of swimmers will hope to replicate Fiona Doyle’s silver medal performance at the 27th Games in Kazan, Russia in 2013. Golf and Athletics competitions commence on 8th July. Full schedules are now available from the official Universiade 2015 Gwangju website. A complete listing of the Team Ireland athletes and officials is below. 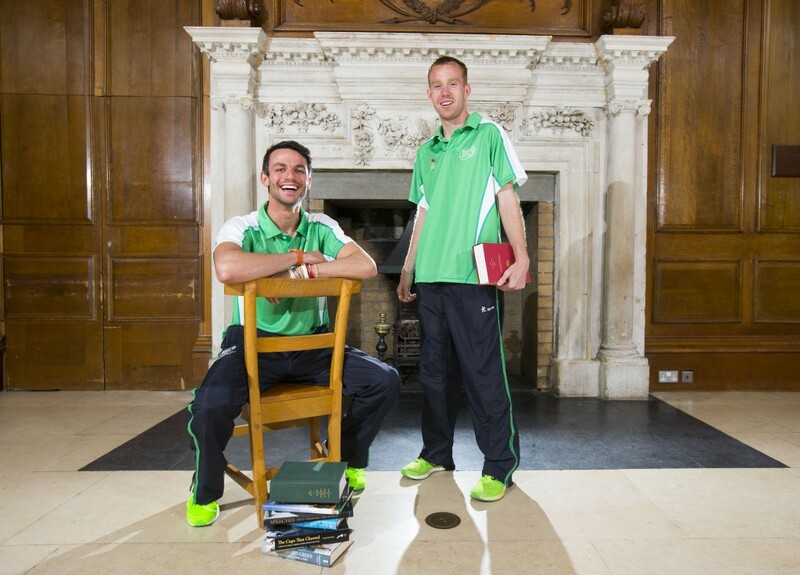 Thomas Barr (UL) and John Travers (AIT) at today’s announcement of the Irish Team to participate at the World University Games (3 -14 July).